GREENSPOINT (September 25, 2018)- Around 3 a.m. near Greenspoint a man was struck by a pickup truck while walking his bike across the street. According to authorities, the driver was heading westbound on the block of Gears Road near Lilleux and stated that he didn’t see the bicyclist. The collision caused minor damages to the truck while separating the front wheel from the bicycle. 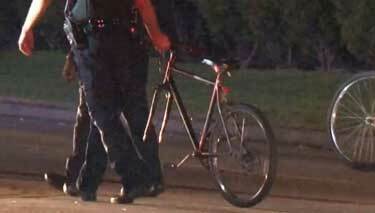 The bicyclist was taken to the hospital in stable condition. Currently, there are no charges against the driver of the truck. No names have been provided. If a motorist has left you injured in a bike accident, it is important to contact our experienced Houston car accident lawyers. Call (713) 987-7111 or send us an email to discuss your car accident case.